If your home is illegal, it stays illegal, say the Courts, despite the “planning law” attempt to legalise said homes. 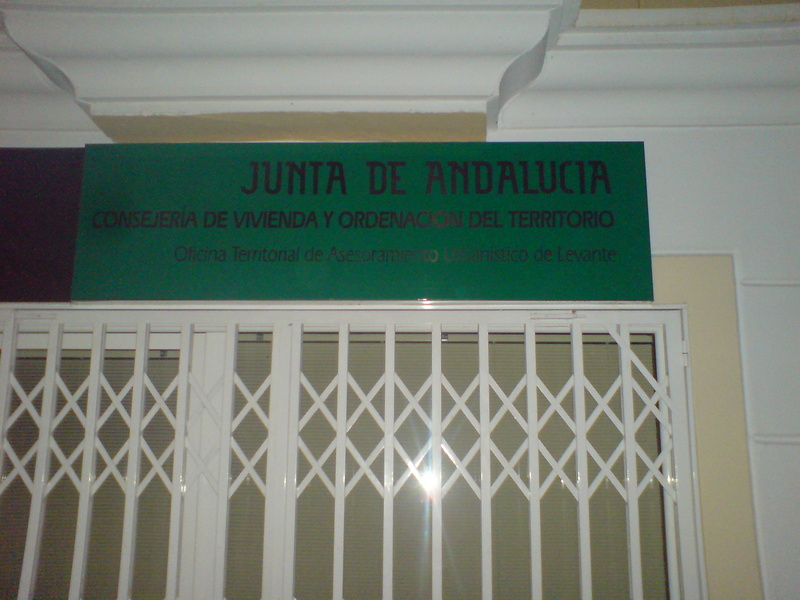 Seville’s Supreme Court has ruled that the Junta de Andalucia’s law which attempted to legalise 250,000 homes built illegally, cannot be used to legalise homes which were constructed against planning regulations. 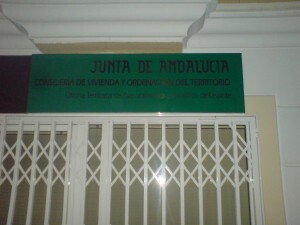 In a test case bought by a promoter facing six months jail and the demolition of his home in Seville, the Court ruled that as his home was built illegally and on land that was not urbanisable, it runs contrary to National Law to retrospectively grant this home a permit, and so the Junta’s law is inadmissible, as it runs contrary to natural justice. The regional Law is “an attempt to express the desire for a clarification of the planning laws in certain retrospective cases [..] not a blank permit to permit all buildings their permits when an attempt to obtain said permit legally would be denied” ruled the Court. The court clarified that in the case where a permit would have been issued before construction started, the Junta Law would be applicable (ie, planning consent could be granted after the act), but that in cases where planning consent would not have been granted (even if the land use was subsequently changed to permit construction) no permit could be retrospectively issued. The Court furthermore ruled that no further appeals against the demolition could be bought, and the sentence must be executed immediately. The Judge was also quite nasty about the Junta in the ruling, saying, in short, that the Junta created the mess of the illegal homes, and so far had failed to approve any legitimate way in which to deal with the mess. The ruling is a severe blow to anyone who has an illegal home in the region (such as the 12,000 Brits in and around Albox), as it appears to dash their hopes that their homes will ever be made legal, except in cases where the home was built on urbanisable land. El Mundo and other sources. This entry was posted in Blog and tagged albox, auan, expat homes, illegal home, illegal homes, pgou, urban corruption by David. Bookmark the permalink. Absolutely ridiculous, dont they realise how much this will hurt the housing market and economy. Everybody should be reimbursed if that is the case. Hi david, I was reading your blog with interest as myself and my husband lived in albox from 2000-2008 and built our own nave with all permissions and licences issued by the architects and town hall. We had numerous interventions by the police which were soon quashed when they realised that we had all paperwork. We left Spain to return to the uk as there was no work . We approached the bank as we had a mortgage and told them we wanted a loan to enable us to help with the mortgage. All was going through and we thought everything would be ok. Then at the last minute they told us that they were not giving out loans anymore and were basically told to go away. We never had a letter from the bank and have never been able to get a reply from them. The house still stands as if forgotten. Well, 2 years ago we decided to return to Spain for a holiday as we had been back twice before . When we arrived in alicante the police arrested me and told me I had an illegal house. I am cutting this story short as it was a lot more harrowing as I had my 10 year old daughter with me. I was carted off to the cells at elche and not given a solicitor and not really told anything. My husband and daughter were also not allowed to see me and not told how long I would be kept. This putting it politely. The conditions were disgusting and I had not done anything wrong. I was in shock and very frightened as you can imagine. They kept me for 24 hours and then transported me to the courthouse . I thought I would see a judge so as to ask why but I was told to sign a piece of paper which informed me I was free. A solicitor then spoke to me in spanish and told me to go to huercal overs courts. 2 days later I went to the court and told them what had happened. They informed me that there had been a court case in my absence as they could not find me between my architects and myself. I knew nothing of this. Then when I showed them my paperwork for the house and all licences they just shrugged their shoulders and said they had no paperwork on their files. I gave them my address in England and asked them to keep me informed of any upcoming court appearances. I left there and went to albox to see the architects. They informed me not to worry and they didn’t understand why I had been arrested. I want to go back to Spain despite what has happened but am unsure as to what might happen to me at the airport. I hopefully would want to retire there even if I no longer have my house. I am very sad as you can imagine about my house and the unknown as to whether I am to be punished again for something I know nothing about. Is there any way I can find out about an outstanding court case or a warrant for my arrest before venturing to Spain again. I know this is a long shot but would greatly appreciate your response, I have tried all other routes even liaising with the ombudsman of andalucia . Their response finally after much correspondence was that they would rather not deal with my case. Thanking you in advance . The only advice I can give you is that you contract a lawyer or a gestor over here to conduct a full search and find out what the current situation is in Spain. Without knowing more about the specifics, I really couldn’t give any better advice. A gestor would probably be cheaper if all you want is someone to chase up the paperwork, you shouldn’t need a lawyer for that. Let me know if you need a recommendation. Thank you for your reply david. I do have all original paperwork but would welcome a recommendation for a gestor who could let me know if there is an outstanding court case or most importantly any warrants as I would not like a recurrence of what happened before. Hi, try contacting http://www.independentlegaladvisor.com, they’re in Turre, or email Maria on independientlegaladvisor@hotmail.es. Best of luck. Please note that a nave license permits you to construct the equivalent of a small building in the countryside in which agricultural workers may store tools or take temporary shelter. It is not a licence to construct a house. It would appear that this particular construction has come to the attention of the authorities and legal proceedings of some sort (either criminal or civil) have ensued. A lawyer is required. They will engage a court procurator (sort of clerk of the court) to retrieve the case details based on any information that you can provide. Once the lawyer is in possession of all of the facts of the matter they can advise you how to proceed. Further general information about the overall situation in the Almanzora Valley is available on our website.